Light drizzle with spotty showers accompanied us on the under 2 hour trip to Harrisburg. 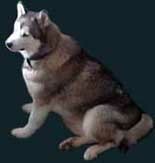 The Turnpike tolltaker asked if they were malamutes, petted Sebastian and I told him about the weight pull. 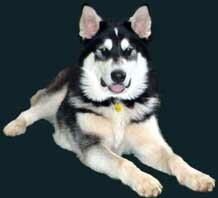 I always take time to talk to folks who know they're malamutes and not huskies. We arrived at 7am and the downpour began as I was unloading the car and dogs into the Exposition Building. We're usually at the other end of the complex, spread out over 2 buildings. This year, however, we were all in one big building and it was a very nice setup. All the malamute folks were together instead of slightly spread out as in the other building. Much cozier and easier to find people. Once the boys were setup and the car parked in the lot I checked in with Rich and Roseann. 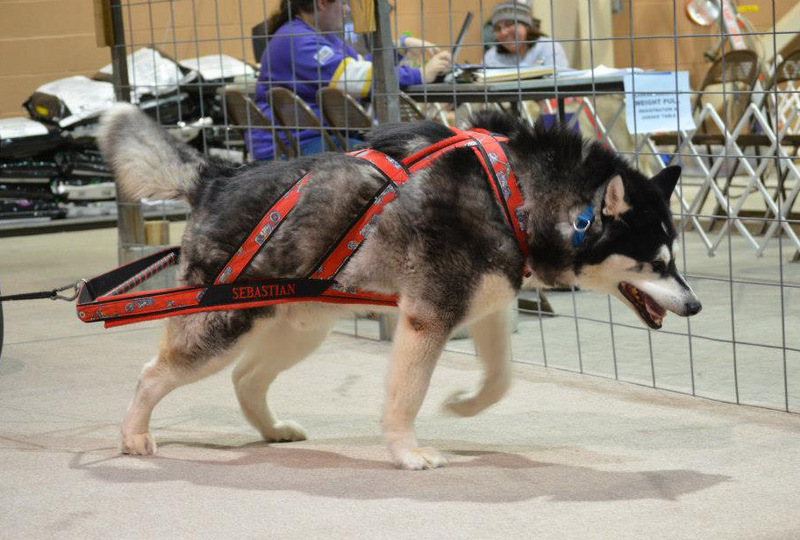 The malamute breed ring was right next to the weight pull chute and in deference to them we wouldn't start weighing in until they completed so we wouldn't distract anyone. They had the forms waiting for me for weight pull registration so that as people came in I could get them signed up. The prizes were also boxed and ready to be setup on the prize table and so I setup that table as well. We ended up with a decent turnout for weight pull, 32 dogs entered including about 5 novices (including April's Jelly in novice). I got caught up with folks I hadn't seen since last year, and watched some of the breed judging. When it was time for weighins, Rich set up this strong, tall triangle metalic step ladder. Usually they sling a rope over a ceiling beam, but these ceilings were more than double the ceilings in the old buildings and it was a non-starter. The scale hung from the middle of the ladder, the dog would walk under the ladder, get in the sling and hoisted up. Got Sebastian weighed in first, as he's the tallest and if it worked for him it would work for anyone. . He was pretty good about it, just a little whining. He weighed in at 137 and Cinnabar at 110. It was a busy time for me handling the registrations with Jenny's help, and recording the weights. Also answering questions. Roseann had copies of the rules that people could take, lots of weight pull leg forms ready. We got started in the weightpull a little about 1:30, after Rich held the handlers' meeting. Our increments were 100 lbs and both boys started at 600 lbs. As the weight pull chute was right next to the public entrance, we had lots of spectators. We would also have to contend with dogs coming and going on that side of the chute. We had a nice turnout of Wildpaw people. Dianne, April, Patty and Nichole. Other Wildpawers were participants, both Lauras, Michele, Shawn and the Gallaghers. So good to see them and have spectators! Kari & Wendy also showed up to watch for the day. Dave put Wendy to work having her pull Takani. So good to see them and also wish them well at the Championships in Alberta the first weekend of May. Both of my boys have qualified for it, but that's too long a trip for us. David Gallagher brought their weight pull cart, and the chute materials, National Dog Food again provided the 50lb bags of dog food for weight. The fencing for the chute was setup by David with assistance from what looked like a bunch of folks. Jenny was again our scorer with her wonderful booming voice, and she kept things moving right along. We always love pulling with this cart because it rolls so well. It was pulling tougher this year, but not because of the cart. In the old building we were on carpet over smooth concrete. 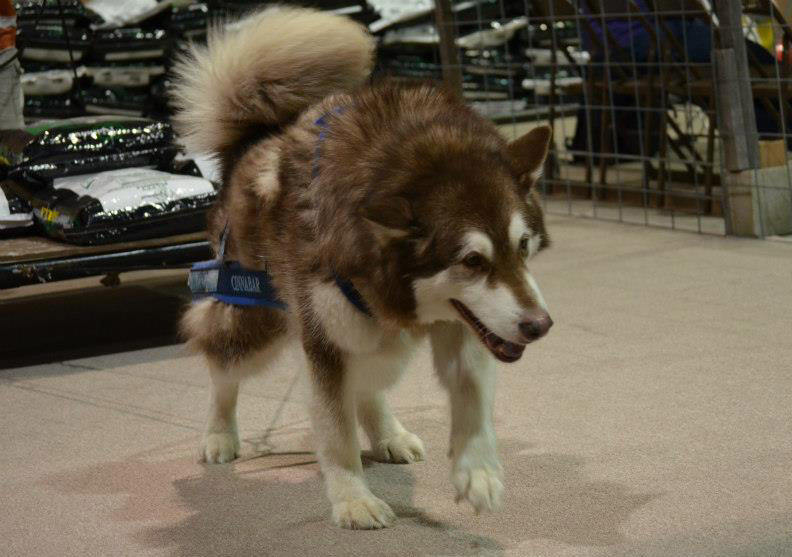 Here we had a brand new carpet on grooved concrete creating more resistance, and we were slightly uphill, and the building was a little warm for malamutes. So, no high weights. I had no expectations of either of mine other than doing their best and having fun. I made sure it was a party for Cinnabar, chattering excitedly with him all the way to the chute, and into the chute. Once in the chute, gave him hugs, and whispered sweet nothings in his ear and then off behind the finish line for me to turn around to see his happy face charging towards me. With Sebastian I had to make sure he was awake, because I always had to wake him up before his turn. We lumbered to the chute and I chattered to him about getting excited. Yeah, yeah. I didn't ever know what he's going to do, but he got his hugs and whispers in the chute and when I turned around he was always headed towards me. I double passed them both until about 1800, I think. Then a single, I think, but not positive. At that point it was down to Beowulf, Cinnabar and Sebastian. Neither of my boys has beaten 2 year old Beowulf this season. Cinnabar pulled the 2100, but he talked to me and backed up before he dug in. Beowulf made that pull as well. Sebastian pulled it easily. Cinnabar did lots of talking and backing up on the 2200 pull. 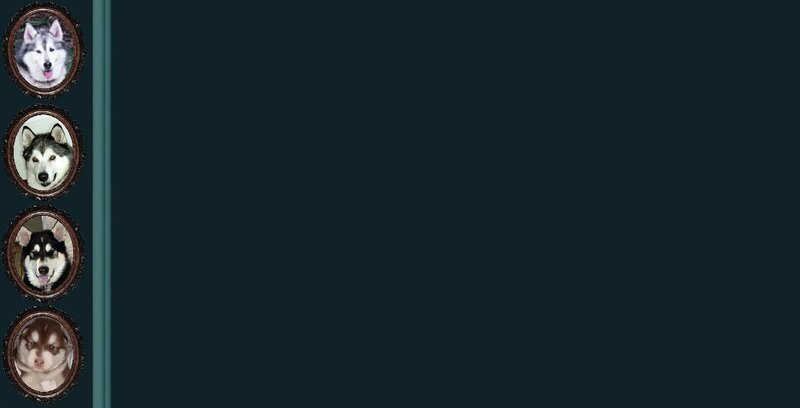 I knew he could pull this, but he had lots to talk about before hand. He wouldn't focus and I asked them to push it when he did try so he was out. Beowulf went out on this round, too. Now it was up to Sebastian. My big boy lumbered into the chute, got his hugs and whispers and when I turned around he was headed towards me, slowly but steadily. No head games, no measuring the distance, no being a brat, just working. The cheers from the crowd as well as me were awesome. They asked if I wanted to go more rounds with him. He had no competition in his weight class, so no chance at getting his final X leg towards his Working Dog Excellent title. I believed I'd need them to add 800 lbs for him to qualify, anyway and since I thought he might have competition the next day I figured we'd save his energy for then and said we're done. I could've asked them to add 600 lbs to qualify for the 2 day challenge (see above), but I wanted to save his energy for the X leg. When I said that, the relief on the faces from the cart help were obvious. Sebastian was very pleased with himself, but more interested in getting his apple treat back at his crate. Val was taking photos that day, so we should have some after she posts them. After the awards ceremony, where Sebastian got the big rosette for Most Weight Pulled and a beautiful howling wolf statue, and Cassi the same for Most Weight Pulled per Pound, Val told me she'd already put her camera away but that she would take Sebastian's & my photo the next day with the rosette. Time to get the car and get the boys bundled into it, and get on the road. The drizzle had let up earlier in the day, but started again. We were out of there by 7:00 and home by 9. We all crashed quickly. Back on the road the next morning at 5:45 am to get there at 7:30. Pretty sunrise on the way there! Got the registration desk all setup again, and the day's prize table. Had lots of time to chat. The boys were conked out in their crates, until anyone with food stopped by. More Wildpaw people! Maria was there! She surprised me from behind with a kiss on the cheek while I was sitting with the boys. April was there early with Jelly. Again, Dianne, Patty made it but later on. I'd gotten to see Ziggy the day before and got my face washed, the sweety! Breanna and Winter came with Laura and Nanook, and Bree was going to pull Winter in novice. Barb was there both days with Bee Gee and Trace. Trace did ok in the chute, but was more into modeling his harness. Trace also did well in his Obedience Trials both days. Bee Gee did great in the chute both days. 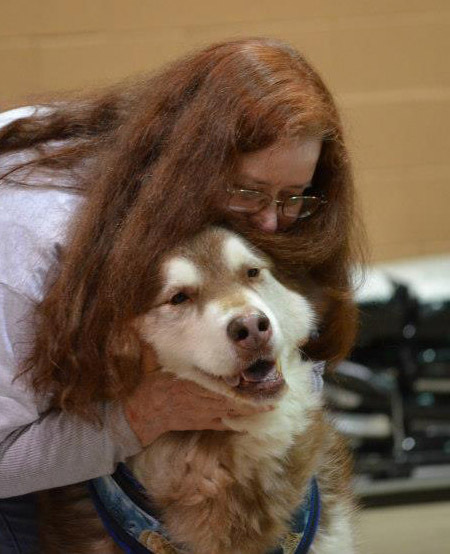 Eileen was there again with Kodi who had just been outstanding the day before, and was again. He's really getting into it. Michele & John were there again. She was pulling Boe, Shiver and Frosty. Frosty is her rescue who has just the best attitude, love that little girl. Both Boe and Shiver did well. Laura and Nanook did well, I was proud of them both! Bree did well with Winter in novice. Shawn was there again with Takaani, who did extremely well. We gained a couple dogs and had 34 pulling. We again started about 1:30. We again started out at 600lbs with 100lb increments. Sebastian again had no competition, so no chance for an X leg. I double passed them both until 1800 lbs and then single passed them. It was down to Beowulf, Cinnabar and Sebastian again. I had in my mind that Beowulf would win so that again I would have no expectations except fun with my boys. When I single passed them George (Beowulf's dad), was surprised because he wasn't passing. I said it was either going to be a great move or a mistake, who knows. I singled passed because I knew they could get the weight, but it had gotten hot, despite the doors being opened and a breeze and there were lots of dogs going past the chute and I wanted to limit their exposure to that. Beowulf made the 1900 pull, and so the 3 of them were pulling the 2000 round. Cinnabar talked a teeny bit, but dug the heck in and made it. Good boy! Beowulf went for drama and waited until 50 seconds to pull it. Sebastian pulled it easily but also started to focus on dogs passing the chute, so I started going side to side (instead of staying in the middle) while I talked to him so that I would be more interesting than them and it worked! Whew! On the 2100 round, Cinnabar started talking but then dug in. I was so proud of him, but he wasn't budging the cart and I immediated called for a push while he was working. Cart help didn't hear me and the malamute specators yelled push to the cart help. He started backing up at that point, but they pushed when he tried again. What a good boy, I'm so proud of him! Beowulf also went out that round, but he did try and he didn't budge the cart either. I asked the cart help to move it 2 inches to the left. I don't know if it was the spot where the tires were that caused both dogs not to be able to budge it, but I didn't want that in my head that it was a bad spot. They all looked at me and Steve Anderson teased me that it better be worth it. I was getting ready to give Sebastian his hugs, when he yelped and focused on a dog going by the chute. I held him, and talked to him to get his focus and then ran across the line. When I turned around he was headed right toward me and easily pulled it! Woo hoo! The cheers were wonderful! I confirmed with Rich that we had Most Weight Pulled. He said yes, then I bowed to the cart help and said thank you, we're done. Then they cheered. I got so many hugs and congratulations as we headed back to the crate. My conquering hero was looking for his apple. Mike Maguire was teasing me about the way I talk to the boys in the chute, saying it sounds like a 1-900 call. I pulled him over to Brenda Lemon and told her that he thinks he discovered that. She said, that boat sailed years ago and they were all laughing at how I talk to them. It's stream of consciousness to me, I'm just doing what I can to encourage them and glad it's comic relief for the humans - LOL! Rich figured up the placements and it was time for the awards. 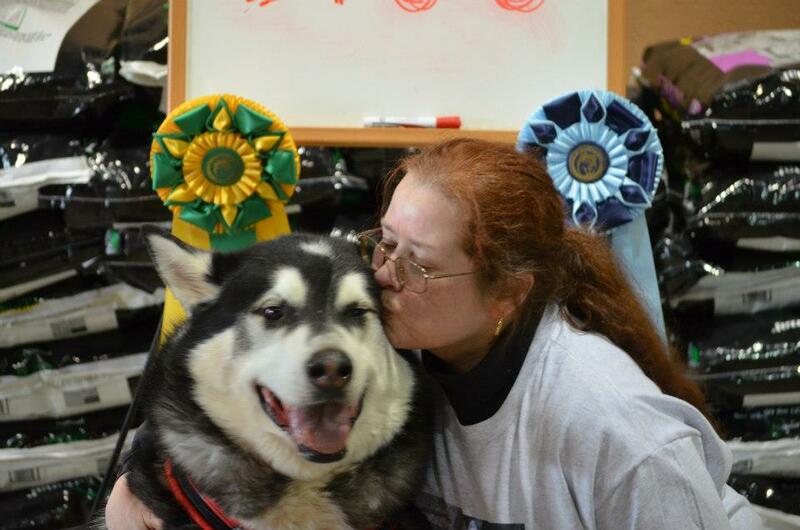 Cinnabar again got first place in his class. Cassi again got Most Weight Pulled per pound and won the special challenge award. 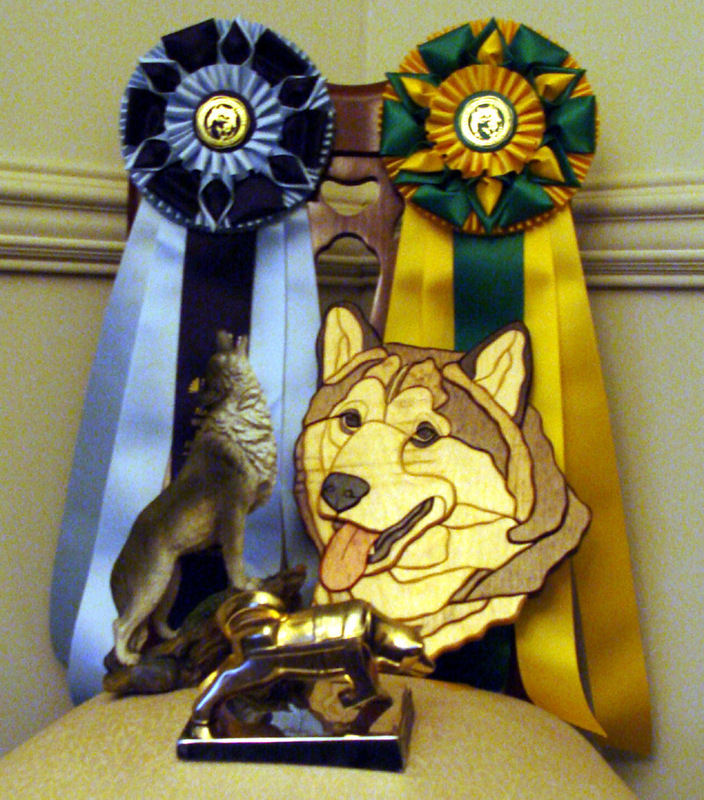 Sebastian got MWP with a big Rosette and a wooden carved Malamute head. 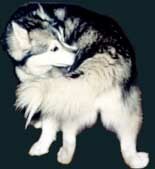 The special award he got was from Steve Anderson, the Brockway "Hood Husky" for Most Weight Pulled. Wow!!! 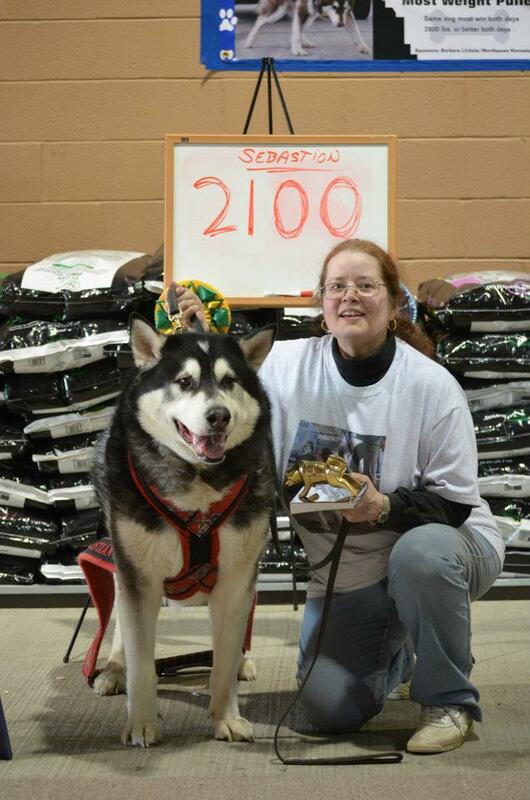 Val, Dianne and others took Sebastian's and my photo in front of the weight with the Rosettes from each day hanging off the weight board score, with me holding the hood husky. I got so many hugs and congratulations from so many people and greatly appreciate all of them. By the time I got the car pulled up to the building to load up most people had their crates broken down and were loading up. Roseann gave me a box for the Rosettes so they'd still look pretty when I got them home. She also gave me a box for the Hood Husky as well as one for the wooden carving. Got the crates, chairs, equipment bag and water loaded into the trunk and then the harnesses, boxes and other stuff loaded into the passenger seat (making sure that nothing looked inviting for Sebastian to nose through). More hugs and goodbyes and we were on the road by 7:30. We were a few miles short of the Turnpike when Sebastian got a gift that I hated. About 10 motorcycles came up from behind in a 55 mph zone doing at least 80 weaving between cars and passing. He was out of his mind with joy, while I was thrilled none of them wiped out and caused an accident, especially the one that passed me on the right and cut in front of me only a few feet away. The rest of the trip was uneventful. A beautiful sliver moon was in the sky when we got home. The boys got their dinner, some special treats and crashed. I crashed as well. This weekend was magical. I've always hoped that Sebastian would reach this place where he would have more fun working than flipping me off or being a clown, but I never really expected it to arrive so I always kept things fun. Turns out that approach worked, and I'm still basking in the magical feeling from this weekend as I write this.